Spitfire VN485 was built in 1948, one of the last constructed. The five-bladed propeller is driven by a Griffon 61 engine. 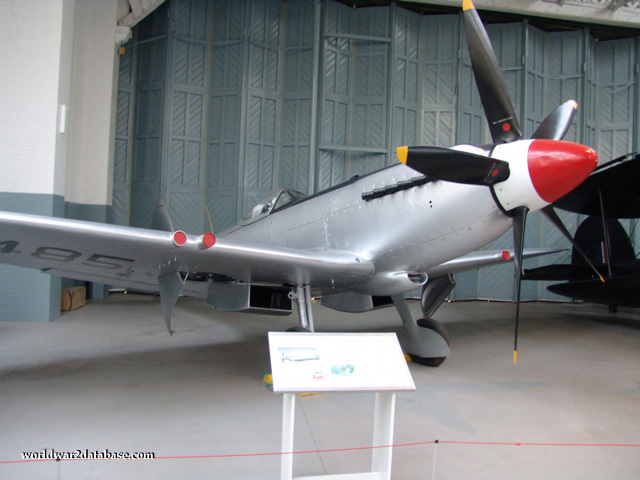 The Mark I Spitfire of 1938 had a Merlin engine.note the folding doors of the 1918-era hangar.